There are two culinary experiences that most people have tried pizza either from the restaurant or at homemade! 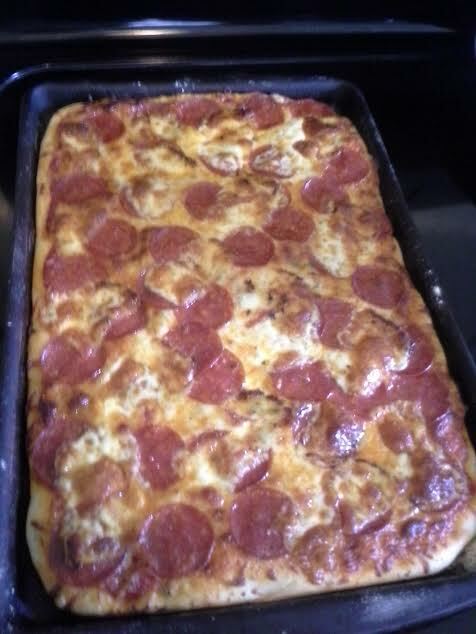 Lucky for me and my family, the help of cooks on Public TV, my Mom makes homemade pizza dough from scratch!! Our homemade pizza is legendary and doesn't last too long either! My mom would use the best bread flour for the dough and sometimes put either freshly chopped Italian herbs like oregano or rosemary which make the bread flavorful and delicious!! No tossing the crust in the garbage at my Mom's house!! Tonight, we are eating pepperoni with extra cheese which every slice gone by 8 pm EST!! I am still learning to master pizza dough but for now I enough my Mom's pizza!